Yet another left-turn collision occurred on a Florida roadway. This time, a young mother and her baby did not survive the impact. Police and witnesses say that the wreck happened in Pasco County. A 19-year-old man from St. Petersburg was northbound on Little Road, not far from Hudson Avenue. As he passed in front of a 75-year-old Hudson woman, she pulled out of a private driveway and smacked into the passenger side of the man’s 1997 Ford Ranger. A 16-year-old girl who was seven months pregnant was in the passenger seat. First responders rushed her to a nearby hospital, where both she and her unborn baby later died. No one else was seriously injured. Ms. Pearson was not wearing a seat belt, according to investigators. These kinds of collisions make up between 30 and 50 percent of the fatal car crashes in Florida. The figure varies so widely because different surveys count these wrecks in different ways. For example, some studies only count unprotected left-turn collisions at stoplights, whereas other studies count wrecks like the one described above. Typically, the tortfeasor (negligent driver) suddenly accelerates to shoot through a gap in traffic. Speed multiplies the force in a collision between two objects in Tampa. Furthermore, speed transforms cell phones and other loose objects into high-speed projectiles. When the car hits a solid object and stops suddenly, these small items keep travelling at the same speed until they took strike solid objects. In many cases, that object is a person’s head. 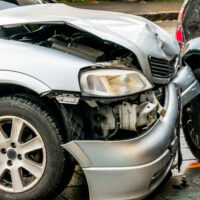 Head injuries are usually the most common serious injuries in Florida car crash cases. Sometimes, they are not trauma-induced. The sudden jarring motion often causes whiplash. This injury is very hard to diagnose, because it does not appear on X-rays and other commonly-used diagnostic equipment. It is also very difficult to treat. Like most head and neck injuries, there is no surgical cure. Most patients only get better through extensive and targeted physical therapy. Contrary to popular myth, injured victims who do not wear seat belts may still be entitled to compensation in a car crash case. The failure to wear a seat belt only constitutes contributory negligence in Florida. It is not a bar to recovery, in most cases. To establish contributory negligence in this context, insurance company lawyers must do more than introduce safety statistics. They must prove that the victim/plaintiff’s injuries could have been prevented if that person had been properly restrained. These lawyers must also establish that the seat belt in the vehicle was in good working order. These things are not easy to prove. Furthermore, Florida is a pure comparative fault state. Even if the insurance company proves that a seat belt would have reduced the victim/plaintiff’s injuries by 90 percent, a jury can still award the victim/plaintiff a proportional share of damages. In a Tampa serious injury case, these damages usually include compensation for economic losses, such as medical bills, and noneconomic losses, such as pain and suffering. Additional punitive damages may be available as well. Left-turn crashes usually cause serious injuries. For a free consultation with an experienced personal injury attorney in Tampa, contact The Matassini Law Firm, P.A. After-hours visits are available.